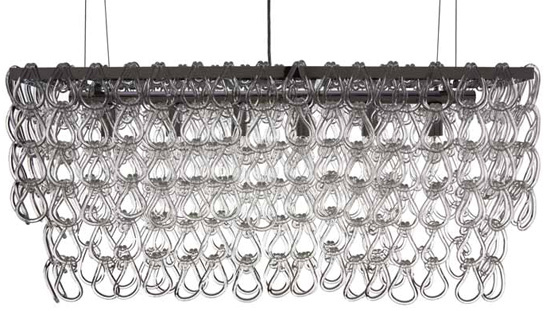 Jayden Small Pendant comes with 366 individual crystal hooks which are placed over the chrome frame once you install the fixture. 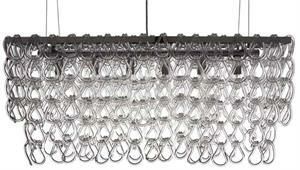 Inside the light illuminates from 6 individual sockets with a max 60 watt on Jayden large pendant! 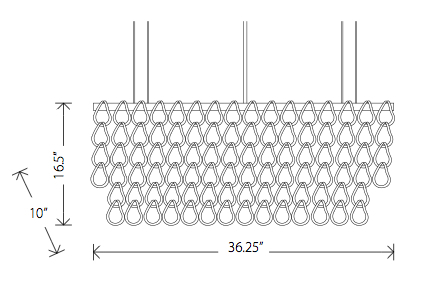 A canopy is supplied along with 90" of cord to hang the fixture at your desired height. Designed to be hard wired.